If you want to be living the high-class life of London then you're going to need to know the places to be, this might be some of the prestigious restaurants in London to some of the hottest clubs in town, this covers it all. This list is for when you want to flash your cash and mingle with the high class. 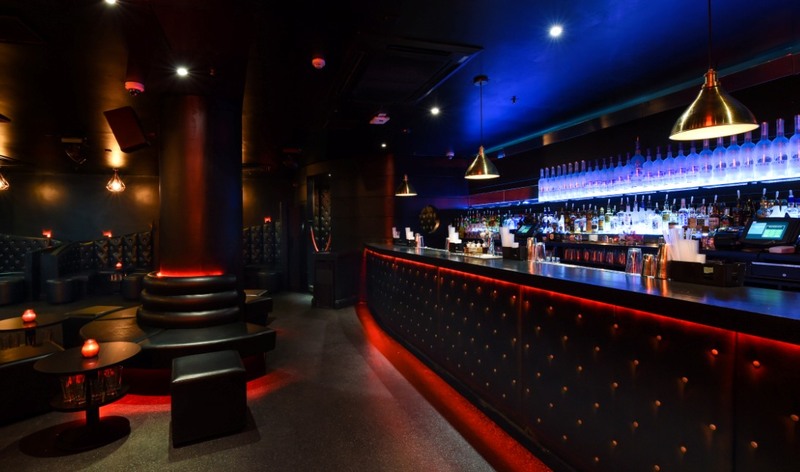 There is a lot going on in the nightlife in London City and in places such as Chelsea and Paddington the nightlife takes off to another level and its places like this that we are going to find the clubs we want to be. The multi-award winning JuJu Chelsea is one the best places to be on a Saturday night in Chelsea, this club and bar have one of the most sophisticated designs around partnered with one of the biggest cocktail lists make it on the shining lights of Chelsea. This club's cocktails are created and made by expert mixologists so you know you’re getting some of the product, with the club winning awards such as Best Late Night Bar 2013, Best Mixology 2012 and Best Bar 2011 with think this club has made its right to best in town. Before you hit the streets and get dancing why not go out and grab a nice meal, and since we’re in Chelsea we thought we would give you a restaurant nearby before you head over to JuJu. We sort out a place with top-tier chefs, with a high class to match and we found the perfect place, the Chutney Mary an Indian restaurant with chefs that all specialise in their own dishes, all made in the private of their own homes and mastered over the years, you will get a real feel for Indian cuisine. The interior mixes a moody and light to make a romantic atmosphere which also makes it a great place to take a date but don’t take our word for it just look at the awards such as Indian Restaurant of the year award at this year’s Tio Pepe’s Carlton London Restaurants awards. Moving over to Mayfair now, known for its high class style we found one of sexiest place to be No.41 Mayfair, with a glass chandeliers and stunning artwork covering the walls you will get a real feel for the high life, to go with this you can enjoy some of the best sharing cocktails in London and with a 3am licence you know you’re going to be in for a good night, though you better dress to impress or their not letting you in. Staying in the heart of London in a place we think you must have heard of, Fifty9. Located in the heart of London tucked away in Berkeley square you know after hearing where the club is that you are going to be in for a wild evening with the some of the most elite people in the city, with a modern and slick style and events almost every weekend such as live DJ's we find it hard to believe that you won't be having one of the greatest nights of your life. It also offers the cocktail room and club room for hire with a capacity of 165 people it makes it a great place to have a company venue or a great birthday party. These are just a few of the many high-class places to be in London, whatever you're doing eating or partying, we think this is a good place to start from the mixologists of JuJu to the elitist club fifty9 we are sure that you will have a good night. We recommend taking a partner out with you on your wild night and you want a high-class girl to match so why not head over to Crush Escorts and we are sure you will find exactly what you are looking for.